Mesclun greens, red onion, bell peppers, carrots, cucumbers, and tomato served with choice of dressing. Dressings: Island pineapple, ranch, bleu cheese, balsamic, thousand island, oil and vinegar, honey mustard. Why accept reservations if you don’t hold them? Then, not even offer to wait at the bar? So we went to the bar anyway and it was a disgusting mess of customers uneaten food and crumbs... .so the bartender/owner pushed it aside (not cleaned) and apologized. Ew, just effing clean it. Then it took two bartenders to finally get a drink order in. Then they didn’t even have what I ordered and did not offer an alternative. Food was ‘meh’. And pricey too $42 for a ribeye, alongside burgers on the menu. Apps and dessert were very good. Ribeye was burnt and loaded with grizzle. One of the worst steaks I have ever been served. The place should not call itself a Chop House. Chop. All were very tasty. Loved my side of Brussels sprouts. The nachos, skirt steak, chicken, and the Mandela nut pie were all delicious! Friendly, helpful servers. Noise level was high. Pork chop was delicious! Skip the burnt brussel sprouts. We shared 2 appetizers, meatballs and wings, very tasty. You can’t beat the beautiful ambience and quality service. Nice drink menu. We went on a Friday night and the place was packed. The am iance is that of a bar/ restaurant in NYC. Nothing to absorb sound and it was noisy. However, the food and service were excellent. Our server, Joelle, greeted us warmly and was very helpful in suggesting side dishes. I had the vegetarian burger (macadamia nuts, black beans, grains) with lime sriracha sauce, avocado and the trimmings. Very good. My sides were savory mashed sweet potatoes and "burnt" brussel sprouts. Both were excellent! My partner had the salmon (a very nice sized portion), with the sweet potatoes and green beans. He ate every drop. We shared a salad (big enough for 4) with a delicious pineapple vinaigrette. Tasty! 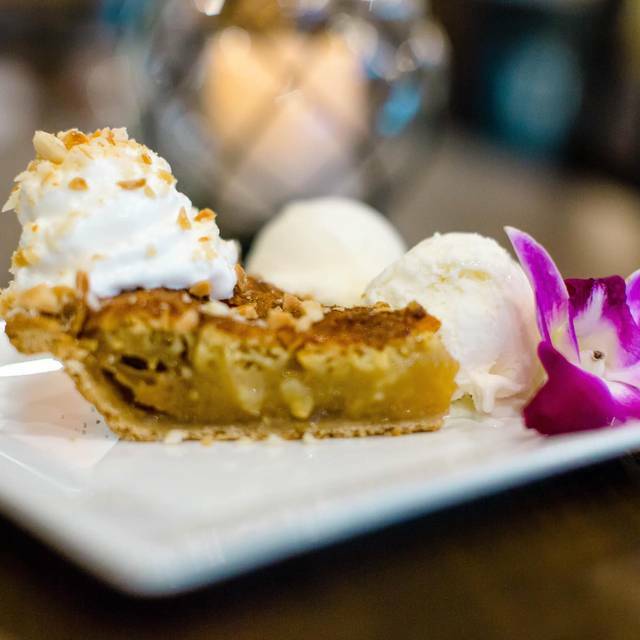 For dessert, we "shared" a macadamia nut pie (think pecan pie with macadamia instead). It came with two scoops of ice cream. Maui is a little pricy for a local neighborhood restaurant, but the food is very different from anything in the area. For those who imbibe, there's an extensive beer list and a well-stocked, well-attended bar. We already talked about going again, perhaps on a Tuesday or Wednesday when it's less crowded. Excellent food, Excellent waitress.. great drinks.. 1. TOO loud. 2. TOO much food - no need for such ridiculously large serving sizes 3. TOO cold. Absolutely should cut back serving sizes - leave the price the same. Just makes us eat too much and feel bad about wasting food or bringing home ‘leftovers’ we will never eat because they won’t taste the same. Each plate enough for 2-3 normal people. The glass of wine also TOO BIG of a pour - thanks for generosity but I would rather you be profitable and stay open than offer way more than what we are paying for. Need to do something about excessive noise at the tables - those noise redacting ceiling tiles? I must be terrible when there is a big game on as it was way too loud and nothing special was happening on the screens over the bar. Best macadamia nut PIE EVER! The Pina COLADA was amazing -gorgeous - toasted coconut on the outside, flowers on top... order it..
Great service. Joelle was terrific. Specialty drinks also on point. I got the brown butter sage pork chop. While tasty and well cooked, it could have been marinated better. The sides of green beans and sweet potato mash were excellent. Great food and service! Looking forward to eating there again. Food was excellent- service as well. 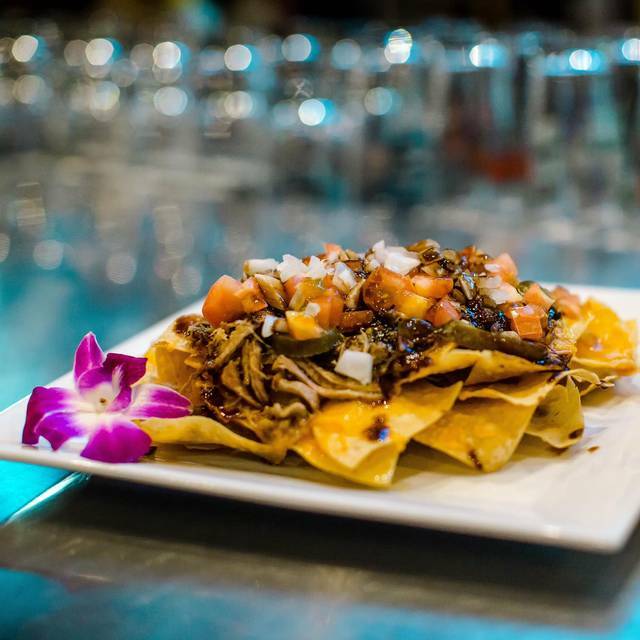 Excellent food, great beer selection and drinks. We highly recommend. The food was really fantastic. The service was impeccable. My only fear is that the prices will not match to this area. This restaurant location is in a small strip mall. The prices match to a high quality high end restaurant with a view of the ocean. If I could watch the sunset out the window while the waves crashed I’d be much more willing to accept the prices. BUT the food was really good. I know we will definitely be back in fact we ordered some take out just a few days after our first visit. So please if you want a great meal absolutely give this place a try. Hopefully their prices won’t have them closed in a few months! The food was fantastic! 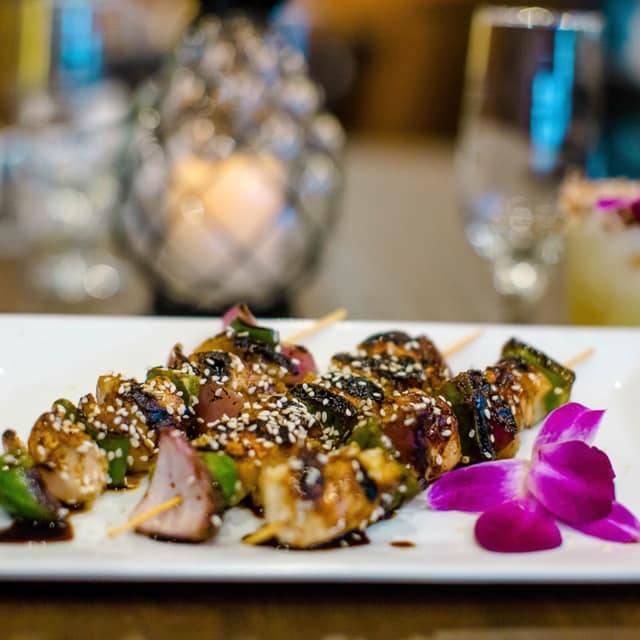 I love Hawaiian inspired cuisine and Maui Chop House definitely delivers. 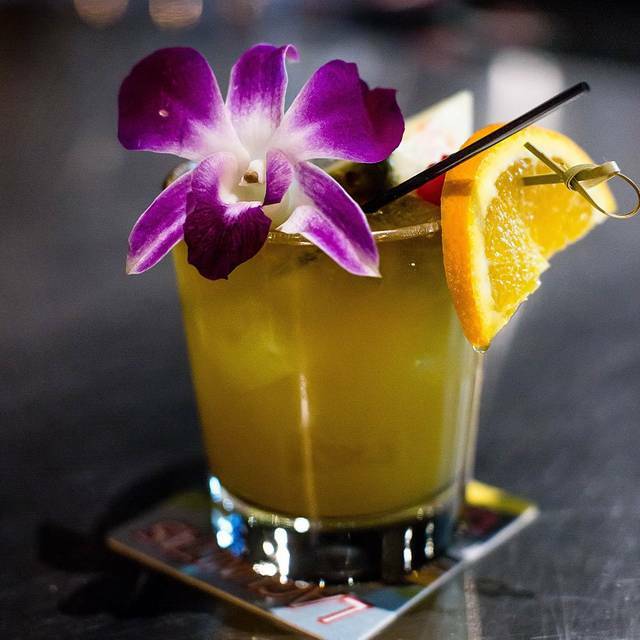 The staff is attentive and accommodating, the drinks were well made and the presentation was delightful. Definitely coming back! 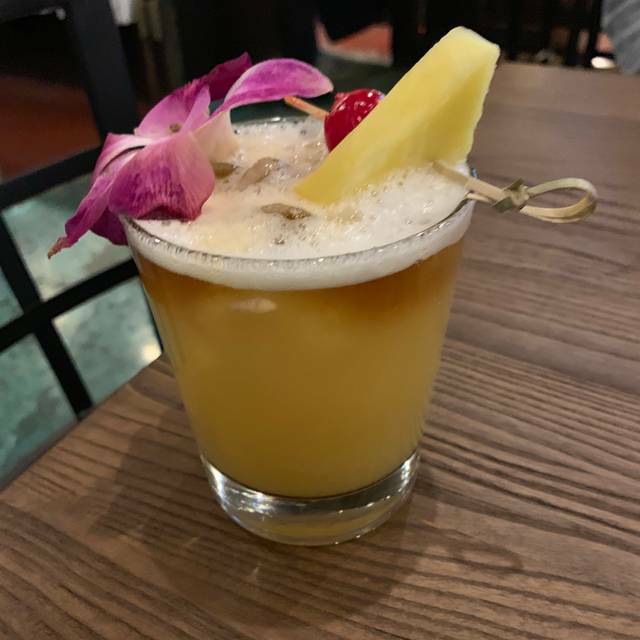 We had been wanting to try Maui Chop House since they opened but we wanted to wait until normal grand opening kinks were worked out. Our timing was obviously perfect because our experience was excellent. We brought our 9 year old and was it was very child friendly. We ordered two appetizers, the meatballs and the skewers. While the meatballs were very vinegar forward they were tasty and the skewers were devoured in seconds. For entrees we ordered the pork chop, the skirt steak, and my son ordered the stir fry. The stir fry portion was enormous and could have feed all three of us. The pork chop was juicy and was tasty, the steak was cooked perfectly medium rare and the stir fry was a hit with my son albeit it was a little more spicy than he would have liked. Even though we were entirely too full we all had a dessert. We ordered the sweet rolls, the macadamia pie and my son went off the menu at our server's suggestion and had the shaved ice. The owner came over during our meal and introduced himself and we let him know how much we enjoyed the food. Can't wait to go back.